After running 13.1 miles on the hilly Gun Flint Trail, I needed beer more than I ever have. 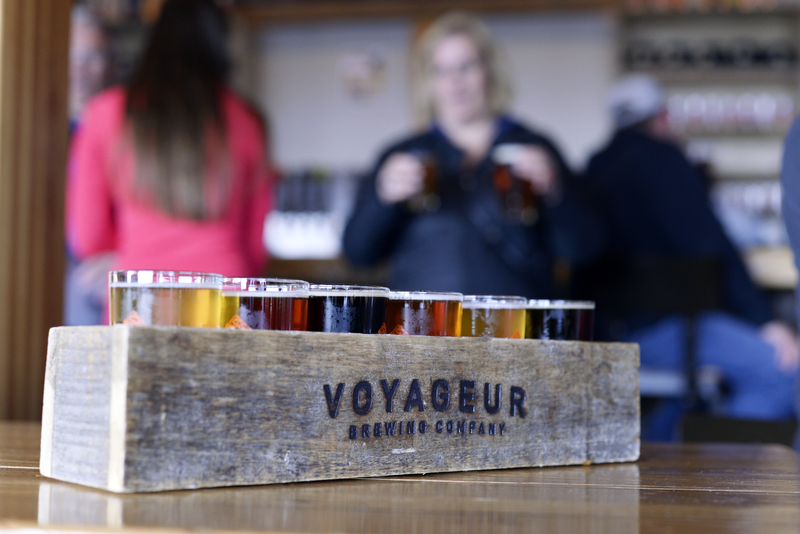 I grabbed a quick shower (I’m not entirely barbaric) in our adorable Airbnb cabin and made my sore, limping way to Voyageur Brewing. 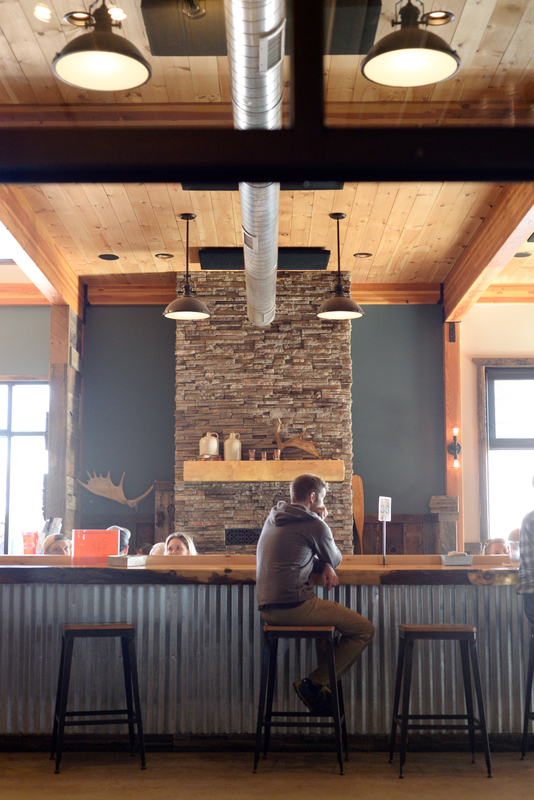 The cozy (yet expansive) north woods taproom is located in downtown Grand Marais. Windows cover nearly the entire front of the building, letting in warm sunlight seemingly amplified by lake reflections. 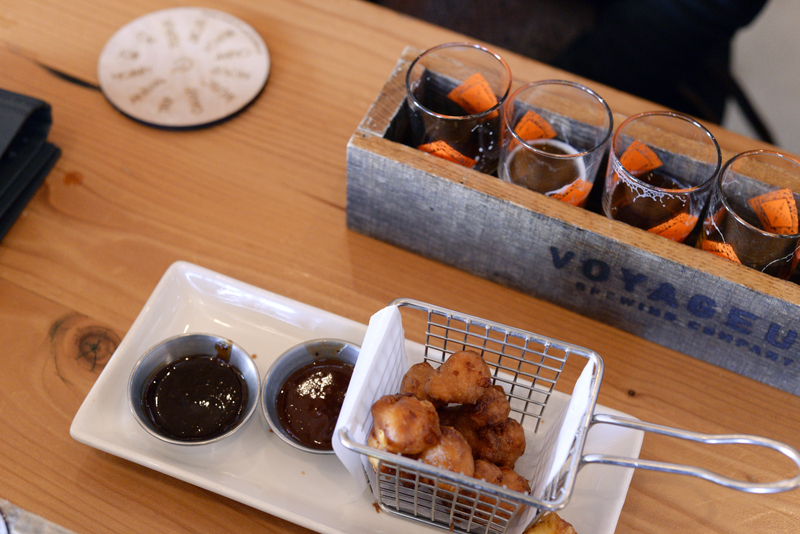 I settled in with a group of dear friends, a flight, and beer-battered cheese curds (I earned it, okay?). My favorites of the bunch were the Trailbreaker Belgian Wheat and the Boundary Waters Brunette. 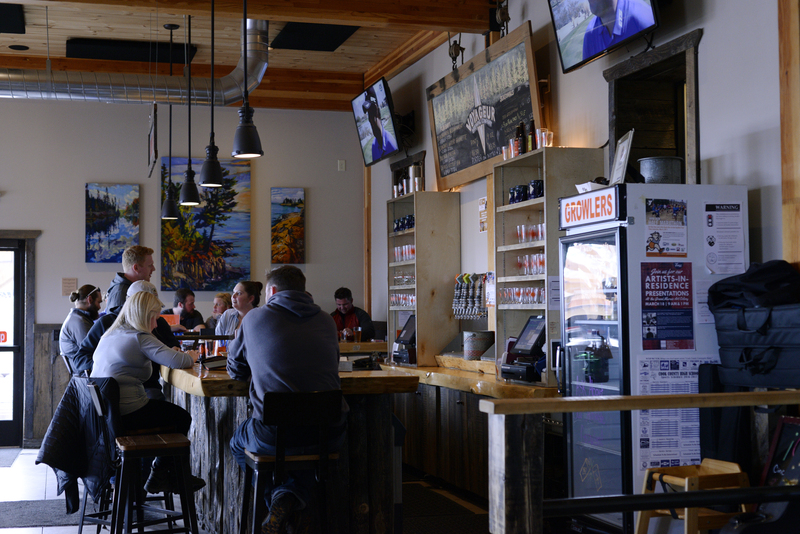 Trailbreaker is an easy drinker with lots of flavor, and the Boundary Waters was sweet and malty in all the right ways. Plus, the brunette features Minnesota wild rice, which is almost too perfect of a branding opportunity. After indulging myself a bit too much, I solicited advice from a younger guy behind the bar. 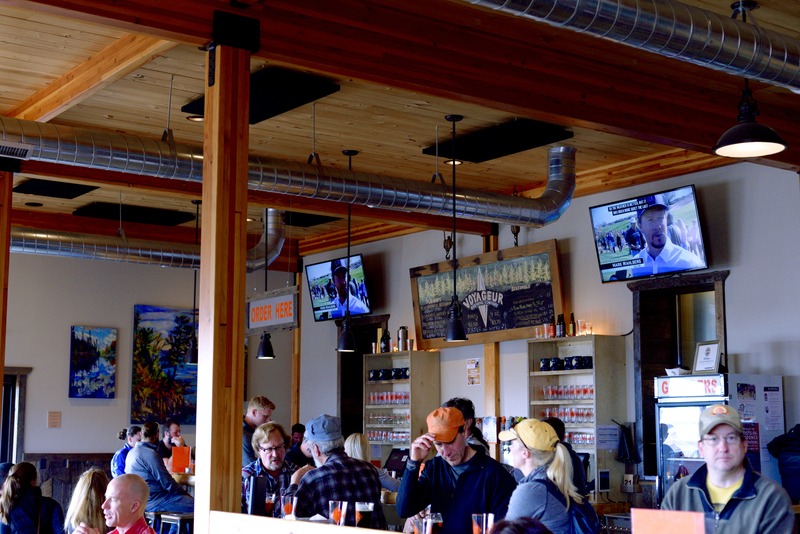 Picture what you think a beertender in Northern Minnesota might look like. That was him. Bearded, a bit sun and wind burnt, and potentially being scouted as a spokesperson for Duluth Trading Co.
His advice for me was about love: “Go for the ones out of your league. 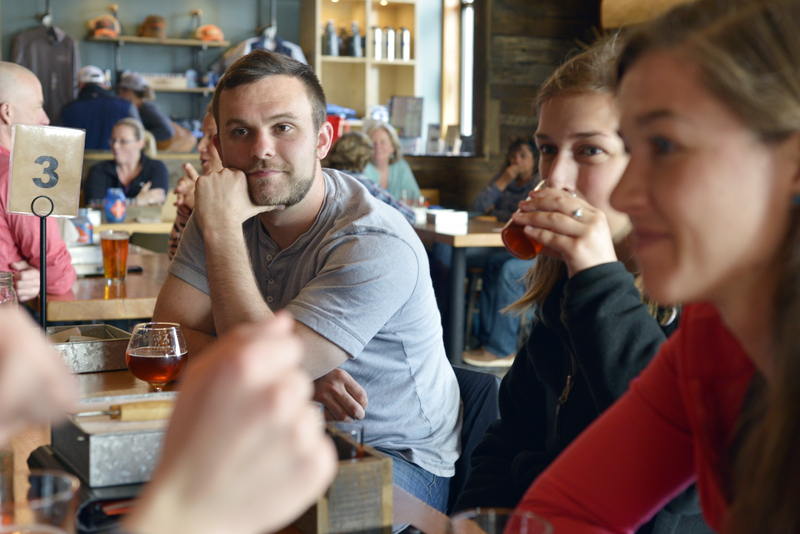 You’d be surprised.” He grinned as he told me that he’d just started dating someone way out of his league, and my heart promptly melted into a little beer-filled puddle. I’m not sure if it was the mystical waters of Lake Superior, or the drinking after running a half marathon, but this glimmer of hope and love struck me. Shouldn’t we all be doing something that makes us grin like a ten-year-old with a playground crush? Even if it’s not romantic, there’s something to be said for taking a risk and doing a personal happy dance when it pays off. I’m always in the market for more reasons to dance in public, so maybe it’s time to start playing out of my league.